Water damage comes in many forms from simple seepage through cracks, to leaky pipes, to full blown flooding from broken pipes. It is important to fix any water damage that occurs ASAP. If not it could become hazardous to your health. 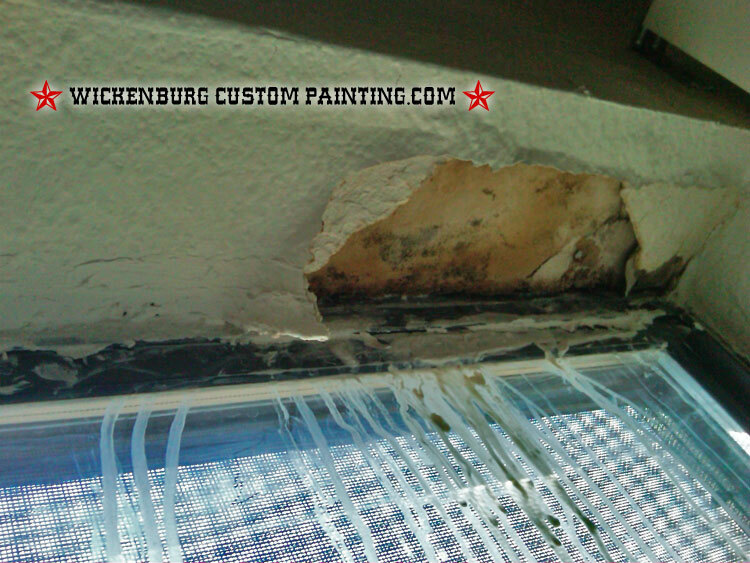 It is possible that if left untouched, water soaked drywall/ wood could start to grow Black Mold. The first step to solving this problem is to find a local roofer to come find and repair the leak in the roof or ceiling. As soon as you get the guarantee from your roofer that the leak is fixed, then the repairs can begin.